Last December Window to the Future (Langas I Ateiti) which is the information society development promoting association was recognized as an overall winner in the Digital Literacy category at European Commission e-Inclusion Awards 2008. Window to the Future was awarded for its six year activities and the recent project �Computer Literacy Basics for a Lithuanian e-Citizen� according to which computer literacy knowledge was delivered to more than 50 000 adult inhabitants of Lithuania. For more than two years Window to the Future has been implementing European Social Fund financed project which offered free of charge training on computers and Internet. The story of Window to the Future started in 2002, when socially responsible Lithuanian businesses such as SEB Bank, Swedbank, mobile telecommunications company Omnitel, fixed telecommunications company Lietuvos Telekomas (TEO LT later) as well as IT companies Sonex Group (now ATEA Baltic) and Alna Group united into alliance Window to the Future the goal of which was to promote the use of Internet in Lithuania, and thus raise the standard of life of the country's population, increase the country's competitiveness in Europe and the world. In a short while, the alliance was joined by the Ministry of Interior of the Republic of Lithuania and initiative partners - Microsoft Lithuania, DnB Nord Bank, the law firm �Lideika, Petrauskas, Valiunas partners / LAWIN�, public relations agency PR Service / Edelman Affiliate, Public Policy and Management Institute and others. The alliance started acting in three fields of activities: Internet access to all, training society to use computers and Internet, promoting the use of e-services. During 2002 � 2003 Window to the Future together with its public partner Ministry of Interior established 175 Public Internet Access Points (PIAP). The later initiative of establishing PIAPs was continued further by Ministry of Interior using PHARE and EU Structural funding. During 2007-2008, new 400 public internet access points were opened to the Lithuanian people in rural areas. The project �Development of Rural Internet Access Points Network� was financed by EU Structural funds and was implemented by the Ministry of Interior. Window to the Future together with partners � Kaunas University of Technology and consulting company S4ID - provided technical administration and publicity services to the project which was generating new IT knowledge influencing the development of economics, social life, education and decrease of unemployment in rural areas. At the end of the project over 800 PIAPs were calculated around the country the majority of which were established in rural areas. One of the most prominent training projects was run between 2006 and 2008. A total of LTL 9.3 million (EUR 2.7 million) was spent to train 50,400 Lithuanians in the area of ICT. Money came from the European Social Fund and from Window to the Future. The project was aimed at addressing a lack of computer literacy among adults. �This is the largest project of its type in Lithuania,� said Window to the Future director Loreta Kri�inauskien�. Were hired more than 400 lectors, and training courses were offered in 2,938 classrooms and 181 PIAPs. The particular focus was on rural residents, as well as people aged 50 and above. 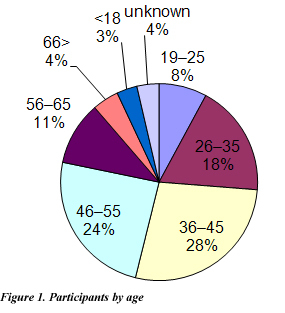 The average age of participants was 43, and more than half of all participants were between 40 and 59. 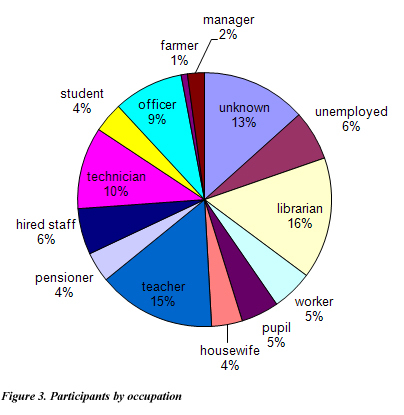 This shows that we achieved our goal � delivering computer skills to people who are active in the labour market but, for one reason or another, had not achieved computer literacy before. This limited their ability to access modern services and attempts to find serious work.� Kri�inauskien� adds that 64% of all participants had a higher education, while 61% came from villages and small towns. In 2008, the European Commission�s E-Inclusion Awards competition attracted 469 projects from 34 European countries. The projects were divided up into seven categories. Window to the Future was listed as one of the 35 finalists in the competition, and at the Vienna Ministerial Conference it took top honours in the Digital Literacy category. The Lithuanian project competed with projects from France, Austria, Finland, Sweden, the UK and Greece. At the awards ceremony, Window to the Future director Loreta Kri�inauskien� dedicated the award to active Lithuanians who wish to be modern Europeans by seeking out knowledge and making use of modern technologies. Association Windows to the Future has been recognized for excellence and good practice in using information, communication and digital technology to address social and digital exclusion in Lithuania through the Project �Computer Literacy Basics for a Lithuanian e-Citizen�. �Primarily I am very pleased the name of Lithuania has been announced for the first time in such a high-level European competition. And I am very proud of my country and its people. In fact, I am very pleased to share this Window to the Future award with our 50 400 courses participants, municipalities, schools, internet access points, and lecturers, responsible Lithuanian authorities. Such large scale projects and big number of participants across the country show that we want to become a modern state, understand the role of modern technologies and want to use them�, said Window to the Future director Loreta Kri�inauskien�. The European Commission e-Inclusion Awards are given to organisations which have made successful and creative use of ICT in their projects. EU representatives have said that the awards encourage the industry, along with governmental and non-governmental organisations to use the potential of ICT in an effective way so as to address the matter of digital exclusion in Europe. It is estimated that despite the increasing public dependency on information technologies, one in three Europeans still has not benefitted in any way from ICT. These are people who cannot be members of the Information Society. The EU adds that this is not just a social issue. Experts believe that over the next five years, the digital divide will cost European companies and governments billions of euros to address. The Window to the Future training project was based on a direct educational method � training in computer classrooms. The training content was prepared on the basis of Lithuanian standards vis-à-vis minimal computer literacy. This is in line with the latest version of the E-citizen syllabus of the European Computer Driving Licence (ECDL) programme. The training course involved 30 hours of practical classroom work, as well as individual work. The course was spread out over five days. All participants received the necessary textbooks, and after the final test, those who passed received graduation certifications. Among the Window to the Future project participants there were 400 differently abled people from 16 towns in Lithuania. They received training in accordance with their needs � more classroom hours with the lecturer and additional training material. Most of the participants were physically challenged, but there were also pilot groups for people with mental disorders. �We have reached important results. The majority of differently abled people - courses participants - were 40-59 year old (54 %), 60 year olds made over 22 %, people of 25-39 - 21 %. The figures point out a very important tendency � people with disabilities of different ages seek to handle information technologies because they help them to fight the digital divide�, - said Loreta Kri�inauskien�, Window to the Future director. According to her, the fact that 21 % of unemployed differently abled people came to the courses allows to assume that the knowledge learnt will help them to integrate into the labour market. The Window to the Future director also thinks that people who have completed the course will do better at finding necessary information, using E-services at home, improving their access to knowledge, and being more competitive in the labour market. Access to global information can help people to become integrated into society. This serves to reduce the social exclusion of people with different abilities, helping them to improve their psychological health. Association Window to the Future continues its mission offering free of charge computer literacy courses to the Lithuanian citizens online. This project is funded by Microsoft Unlimited Potential � Community Technology Skills program. The project will continue until February 2010, and it offers Lithuanians an excellent opportunity to improve their level of knowledge in important areas such as safe Internet use and use of popular computer programmes. Last year, nearly 2,000 people took part in these online courses, such as safe Internet use for adults and children; use of popular computer programmes- PowerPoint; and Excel, as well as the most popular communication programs. Registered participants take part in training for three or four weeks, doing the work when they have free time. Questions can be posed online, as well. According to her, in 2008 the most active e-courses participants seeking to improve their knowledge were librarians, teachers, office workers, technicians, as well as unemployed people. The courses were mostly attended by middle aged or elder participants. Eight of ten were women. �The mentioned Window to the Future Project is a part of the Microsoft Unlimited Potential. We as a technological company have a duty to provide technical means, and as a socially responsible company � to train people to use them properly. We pursue the goal for Lithuanian citizens not only to have skills in ICT but we wish them to comprehend that ICT is a wonderful possibility to acquire knowledge, improve personal skills and self realization�, � says Mindaugas Glodas, general manager of Microsoft Lietuva. According to him, it is expected that offering learning possibilities to people lacking ICT skills will encourage the positive change in the economic and social life of the people. Next to that it is very important for the course participants to perceive not only the positive sides of Internet but also the threats could be met. �European Commission Award, as well as Microsoft grant to continue the training is a solid stimulation to Window to the Future to develop its activities providing the people of Lithuania more and more possibilities to use modern technologies so as to be next to the big EU countries or sometimes even ahead�, - says Window to the Future director. She adds that distance learning is a very comfortable and suitable learning way for the people with disabilities, elderly people, housewives etc. 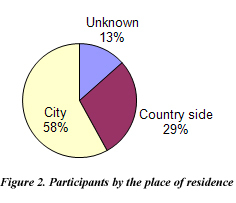 Distance studies are performed online and one needs only a computer and access to Internet. Those who still have no computer at home are invited to use Public Internet Access Points where there is staff to help them if needed. Web site owners do not carry responsibility for materials submitted by commentators and reserve rights to delete ones violating legal regulations and breaching of the decencies. Thank you for understanding! How secure you evaluate your information and data? "Baltic IT&T Review" ISSN 1691-4694. Re-printing allowed only with the written authorisation of publisher. Responsibility for the contents rests upon the authors.